and indicate intonation and pauses to be observed when reading aloud. Punctuation marks are also used to avoid ambiguity. For example, "woman, without her man, is nothing" has a different meaning from "woman: without her, man is nothing"
This is a summary of punctuation rules. Read the punctuation rules and study the examples given. She stood up and went away. She was furious. You will help me, won't you? He likes soccer, doesn't he? Commas are used between items in a series or list. The last two items of the series usually do not need a comma between them. They are separated by "and". I like spaghetti, fish, pizza and couscous. I'd like to have a big, black, German car. She speaks slowly, quietly and eloquently. 34 Hassan II Street, Rabat, Morocco. He said,"I hate being treated like that." He woke up late, so he had to drive to work. They woke up early; then they went jogging. He visited three cities last summer holiday: Madrid, Roma and Athens. He had one idea in mind: to see her as soon as possible. The secretary whispered in his ear: "Your wife is on the phone. " I put on a blue jacket --the one my mother bought me-- and blue jeans. I explained to him my point of view-- at least I tried! 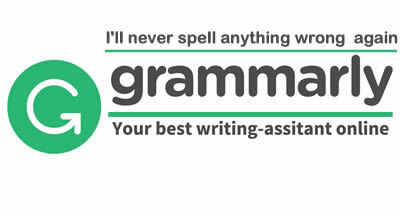 Use an apostrophe to indicate a missing letter or letters in a contraction. Use an apostrophe plus the letter "s" to show possession. My brother's girlfriend is such a sweet girl. Quotation marks are used to quote speech, sentences or words.